Enable performing teams achieve even greater success. Belbin provides a team language and a way of working that allows for appreciation and sensitization to team member strengths and work styles thus enhancing employee engagement levels. Belbin helps an individual appreciate his/her strengths and realise what other’s value as his/her contributions. It provides individuals with a tool to adopt a work style that leverages their strengths thus allowing them to give their best at work. Knowing one’s most and least preferred roles helps individuals make unique contributions and also opens up possibilities of collaboration between team members. 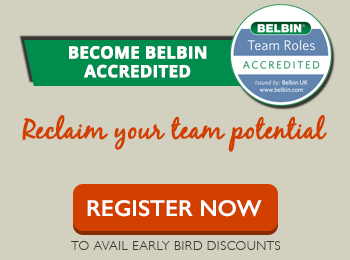 Belbin was able to address the question ‘Why do some teams succeed while others fail!’ Belbin Team Roles are leveraged by teams to discover team resources and create work relationships that exploit team strengths and manage weaknesses. Team reports help the team understand the composition of the team and how each team member can make a crucial contribution that is unique and that enables the team to succeed.